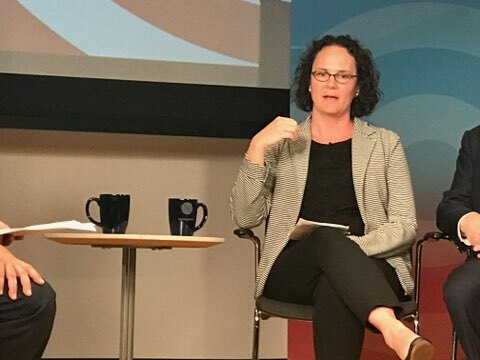 At WorkingNation's Town Hall event in Boston, experts detailed the promise of quality work-based learning opportunities to train workers for an evolving labor market. Dynamic changes are happening in the job market in response to technological shifts and the low unemployment rate. Skilled labor shortages are rampant across multiple sectors, leading employers to seek out work-based learning opportunities to attract and train workers. 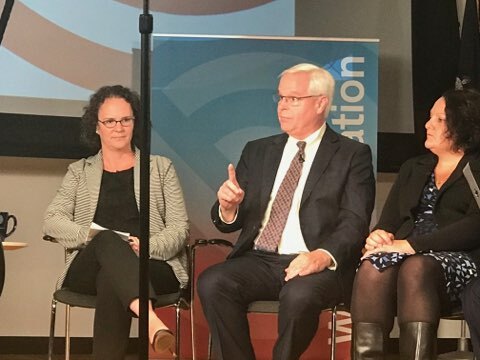 At WorkingNation’s fifth Town Hall event, Work-Based Learning: Building a Better Future for Job Seekers and Employers, held at the Federal Reserve Bank of Boston on October 2, expert panelists discussed the solutions for developing a skilled workforce through on-the-job training. Whether they are apprenticeships, mentoring, co-ops or internships, work-based learning can come in many forms, and each one has their strengths and challenges in implementing them equitably. Quality on-the-job training programs can represent scalable solutions that can keep workforces ahead of the technological curve. With 6.7 million job openings and millions of Americans still stuck in unemployment and underemployment, employers are exploring their options in how to close the skills gap. Many are discovering the best way is to create a workforce pipeline is by aligning with government and workforce development boards. 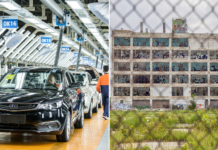 “[Work-based learning programs] are important public-private partnerships, and they are having a dramatic impact on the outcome of workers trying to develop new skills and find a good job,” WorkingNation President Jane Oates said in her opening remarks. WorkingNation’s Founder & CEO Art Bilger added to the praise of cooperation between stakeholders in workforce development. He noted how WorkingNation opens people’s minds to the changes happening in the labor market through our stories and mini-documentaries. “We’ve been encouraged to learn about the many local solutions that are taking place in communities like yours all across the country. The solutions are coming from businesses, not-for-profits, academic entities and local governments working together,” Bilger said. Work-based learning is a solution that is gaining more acceptance in preparing individuals for the world of work. According to a 2015 Gallup survey, only 13 percent of adults strongly agree college graduates are well-prepared for success in the workplace. Their opinion about high school graduates’ work-readiness is less reassuring, just 5 percent of U.S. adults believe they are very prepared for the workforce. 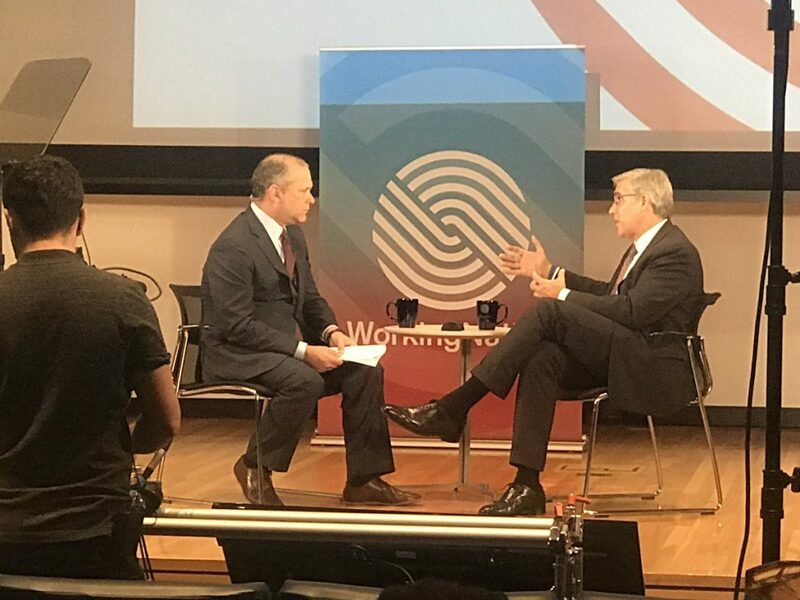 Boston Town Hall moderator and CNBC Special Correspondent Scott Cohn opened the conversation about youth job preparedness with one of the leading figures in this sector, Year Up CEO Gerald Chertavian. Chertavian said that high schools are lacking in one critical component: teaching students how to work. 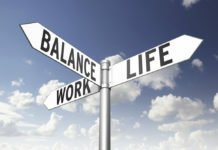 The disconnect between the two worlds is contributing to unemployment and underemployment for Opportunity Youth. 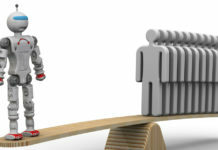 “Education and employment are not connecting in ways that pull talent through the pipelines to the open opportunities,” Chertavian said. He said Year Up is engaging with the business community to add more work-based learning solutions to high schools and community colleges. Employers are not doing a charitable service for underserved communities by providing mentorship to young people, Chertavian said. They are directly benefiting by exposing young people to careers and giving them the guidance on how to enter them. The United States is not alone in its mission to close the youth skills gap through work-based learning. Deloitte LLP Senior Director and Workforce Development Social Impact Leader Maggie Koziol said the impact of the Fourth Industrial Revolution and the integration of digital technology has affected for the entire world. “We are facing a crisis. 1.8 billion youth, globally, will be unready to work in the future of jobs,” Koziol said. The solutions offered at the local level may not be enough to combat such a wide-scale problem, according to JFF CEO Maria Flynn. “Companies are starting to step up, but at the same time there is a big need for strategies to scale solutions for workers,” Flynn said. Overcoming this crisis will require more partnerships between stakeholders Boston Private Industry Council Executive Director Neil Sullivan said. 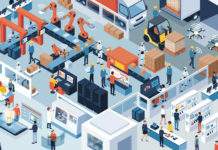 Workforce development boards and other connectors are critical to building bridges between corporations, schools and colleges. Educators and on-the-ground workforce boards can influence employers’ hiring practices and urge them to develop strategies in line with economic trends. Koziol, Neil Sullivan and Maria Flynn. Photo – WorkingNation. “HR departments tend to think about filling positions in one, three and six months but they don’t think about long-term strategies which are what our economy needs to be competitive,” Sullivan said. Commonwealth Corporation CEO Dr. J.D. LaRock shared Sullivan’s sentiments about the short-term thinking of employers. Employers are reluctant to train entry-level workers because they fear they will leave the job. The costs to locate and hire skilled workers, who may not have work-ready skills, are a waste of resources. 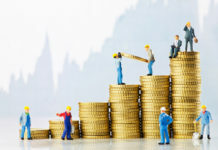 “The moment that more employers realize they are wasting money in HR processes that churn thru employees who don’t stay and that money would be better used for training programs, we will begin to see change,” Dr. LaRock said. Representing the education sector, Bay Path University President Carol Leary remarked how educators must change along with employers to meet the pace of technological change. “Universities have to continue to evolve and work with more partners to meet needs of changing workforce,” Leary said. Technology and mentorship can also work together in attracting and training workers from underrepresented communities. Especially in STEAM fields where the representation of women and minorities is lacking. Techtonic Group CEO Heather Terenzio’s company is training people from diverse backgrounds to become coders in a unique registered apprenticeship program. Panelist Yoli Chisholm, STEAM Role founding advisor, said that young people could directly engage with and learn from professionals in STEAM careers about their aspirations and sector knowledge through the company’s app. The value of the app also allows STEAM pros to become role models and mentors for young people. Mentors are the key to the different avenues work-based learning can take. They are essential for translating the knowledge and experience required to do the job to the next generation. 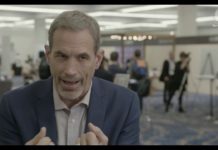 MENTOR CEO David Shapiro said that the lifetime connections mentors have with young people is a two-way street. “The consistency of presence, sticking with someone, adds the high touch that adds to the inspiration and aspiration of role models,” Shapiro said. WorkingNation’s latest Town Hall stressed the importance of work-based learning, where solutions are evident in the quality skills training delivered to a diverse pool of talent. With a low unemployment rate and shrinking skilled labor force placing stress on continued growth, apprenticeships and internships can adapt to the needs of different industries. Together with the power of mentorship, companies can connect with educators and communities to create a close-knit continuum of knowledge and skills. Watch highlights from the Town Hall to learn more about the program and work-based learning opportunities. Click here for the videos. 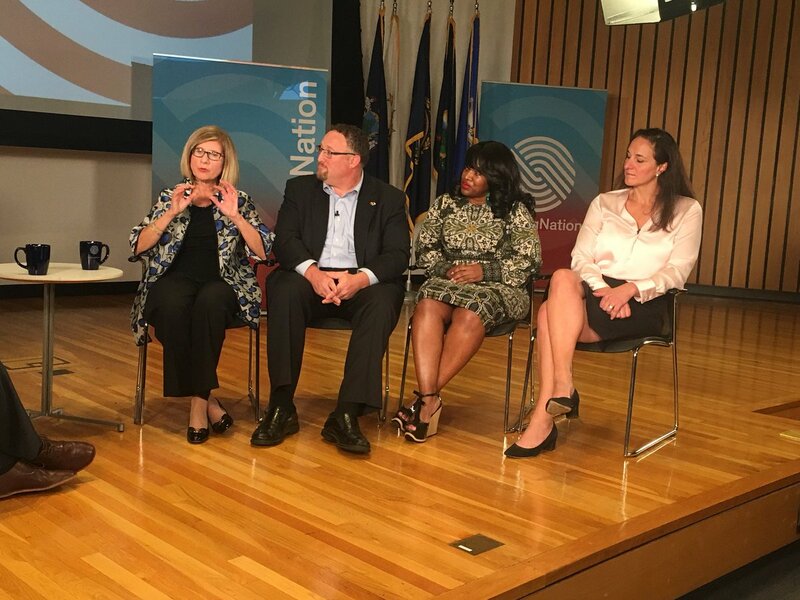 Between panel segments, WorkingNation screened two Do Something Awesome documentaries which showed two radically different applications of apprenticeships. Rhode Island’s Commercial Fisheries Apprenticeship Program is training a new generation to take to the high seas in a rapidly-aging industry. Apprentices learn how to safely perform the tasks required in this labor-intensive work and sustainable management practices. Apprenticeships do not have to exist solely within the trades. Harper College’s partnership with multinational insurance company Zurich Insurance has imported the European apprenticeship model to Illinois. Apprentices gain an on-the-job education while earning a paycheck working at Zurich’s offices. Join the Conversation: Share your thoughts about work-based learning opportunities on our Facebook page.